Pier at Rosshill, Roscam, Galway City. Seventy-one properties went under the hammer at O’Donnellan & Joyce Auctioneers' all-day property auction on Friday. Fifty-two properties were on offer in the morning session, including properties in Galway city and county, and from Donegal on the western seaboard towards Cork. The morning session achieved success rate of 85 per cent of sales, notable for a capacity auction room and intensive bidding from the room, online and the phone. In addition there were a number of successful bidders abroad, watching the auction live on www.odonnjoyce.com and Facebook Live. The afternoon session was dominated by Galway city properties with 50 per cent sold. Colm O’Donnellan of O’Donnellan & Joyce Auctioneers, says the morning session, in particular, sparked some "remarkable bidding" especially from first-time buyers who were out in force. Similiarly the afternoon started off particularly well with attractive prices in Knocknacarra, selling for €285,000 in 7 The Rise, Knocknacarra and €365,000 for 70 Maoilin, Knocknacarra. No 7 comprises a four bedroom semi-detached residence with a spacious rear garden. Ideal family home in a much sought after area of Knocknacarra. The bidding opened at €260,000, and after six bids in increments of €5,000, the property sold for €285,000. No 70 Maoilin was the original show house presented in mint condition throughout, and considered to be one of the finest development of semi-detached homes in recent times. The bidding opened at €300,000 with two interested parties, one in the auction room and one on the phone. After 20 bids the property sold for €365,000 to the successful phone bidder. The larger homes had limited interest and a number of the properties were withdrawn from the auction room as they did not reach the reserve and are under active negotiation. "There is no doubt there is remarkable interest in properties for €200,000 to €400,000 currently with a short supply and exceptional demand. This could be seen right throughout the auction," Colm O'Donnellan says. End-of-terrace building comprised three one bedroomed self-contained apartments. The building was renovated over the last decade and presented in good condition throughout. The bidding opened on St Brendan’s at €280,000. There were a number of interested parties in the auction room, and after 33 bids the property sold for €395,000. A centrally located two bedroom duplex townhouse with the accommodation spread over three floors. The bidding opened at €200,000, and after four bids the property sold at the reserve price of €210,000. Semi-detached residence divided into two self-contained one-bedroom apartments. The well maintained property sold in the auction room for €170,000. Two bedroom third floor duplex apartment located within walking distance of Eyre Square in a modern and attractive development sold for €195,000 after a number of bids from the room. Three bedroom first-floor townhouse, located close to GMIT and within easy commuting distance of Galway city centre, sold at the reserve price of €110,000 with tenants in place. 19 Devon Park, presented in impeccable standard, offered beautiful decor, light filled rooms with high ceilings traditional of a property of its era. This property was withdrawn from the auction room and sold after for €338,000. Located in the much sought after and well established residential area of Oaklands, No 46, a superb family home with an equally superb large south/west facing rear garden, was withdrawn from the auction and sold after. A three bedroom bungalow in excellent condition in the small Barr Na Gcurrach development in the heart of Furbo village had four bids in the room, and after not reaching the reserve the property, sold outside the auction room for €285,000. A property in this highly sought after city location, situated only a few minutes’ walk from Galway city centre, produced an opening bid at €180,000, and with two interested parties, the bidding was fast and furious. After 19 bids the property sold for €225,000. Four/five bedroom detached family home located a stone's throw from NUIG and UCHG was withdrawn from auction and sold after for €475,000. Superb commercial investment property located at Buttermilk Walk produced an opening bid of €60,000, after a number of bids from the room, the hammer fell at €93,000 to the successful bidder. A boat house within walking distance of the city centre, and standing on a substantial site with frontage onto the River Corrib, sold for €85,000. Bidding opened at €30,000 with 20 bids from the room. 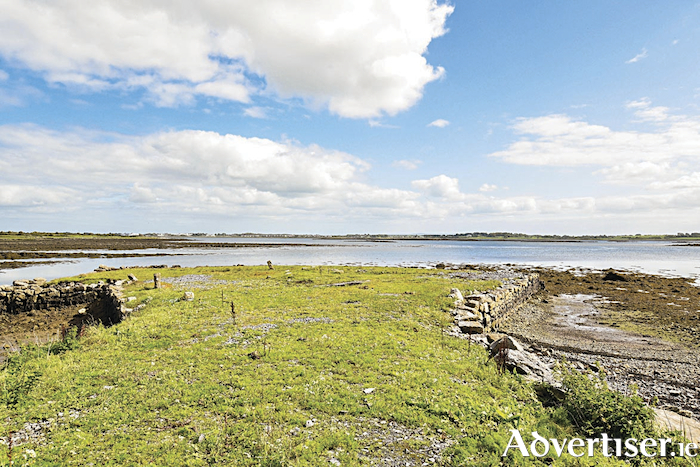 This unique opportunity to acquire a private pier to moor a yacht located on the edge of Galway city produced two interested parties going head to head for this maritime property. The bidding in the room failed to reach the reserve, but the property sold straight after the auction for €29,000. Three bedroom mid terraced residence conveniently located to Galway city centre and presented in good condition, sold to a successful phone bidder for €179,000 after 14 bids. The bidding opened at €145,000 for this three bedroom mid-terraced residence conveniently located to Galway city centre. After 25 bids from phone bidders and people in the room, the property sold for €186,000. Five bedroomed detached residence with garden to the rear and parking to the front, having previously being withdrawn from the July auction, re-entered the auction room last week and sold for €154,000 after nine bids. Three bedroom bungalow located in Woodville, which is located a short drive from the village of Kilchreest and 8km from Craughwell, sold for €72,000 after 11 bids. The next auction will take place on November 9 at the Harbour Hotel, New Dock Street, Galway. The deadline for properties is October 7. For more information contact Colm O’Donnellan (091 ) 564212. The catalogue for the next auction will launch on October 11 and can be viewed online on www.myhome.ie, www.daft.ie and www.odonnjoyce.ie/auction with details available from the auction team at O’Donnellan & Joyce Auctioneers, 5 Mary Street, Galway 091 564 212.